A day of benchmark hunting in the Poconos brought us to this mark, which I'd been interested in for some time because of the potential 1889 date of monumentation. We found the mark easily enough, though it was buried beneath a layer of fine gravel and dirt. But to my disappointment, 1889 was not the monumentation date but simply the elevation stamped on the disk. 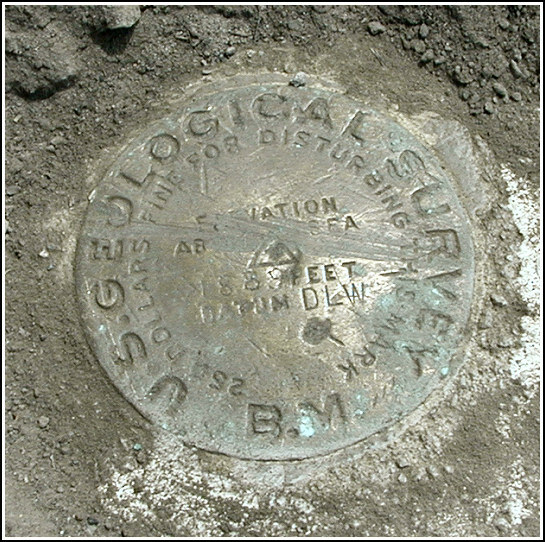 There is no record of the actual date this mark was set, but it's possible it was set along with the nearby USGS disk DLW (LY1116) in 1932. 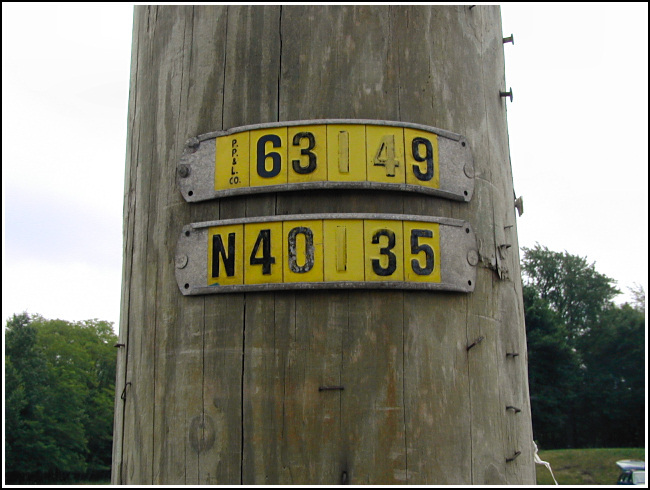 Mark found in good condition on concrete base, adjacent to powerline pole PPL Co 63149/N40135. County road 507 is now PA State Route 507. There appears to be an error in that the 1889 stamped on the disk refers to the elevation, not the year the mark was monumented. USGS files have no record of the date of monumentation. Handheld GPS WAAS-corrected coordinates for the station are 41 14 43.2(N) 075 27 11.9(W). 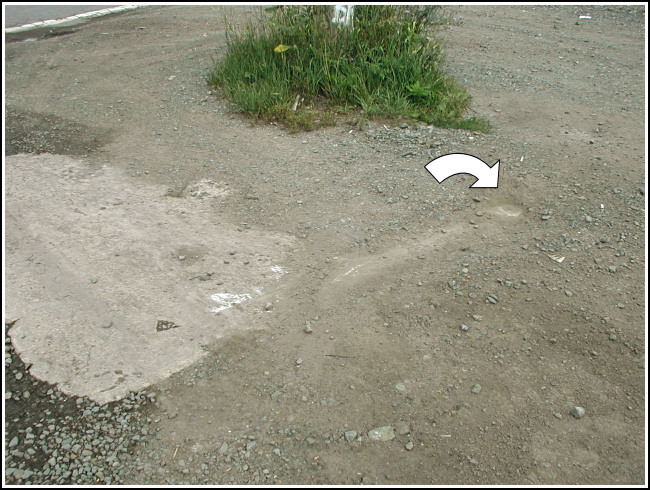 Eyelevel view of the mark on the concrete base. 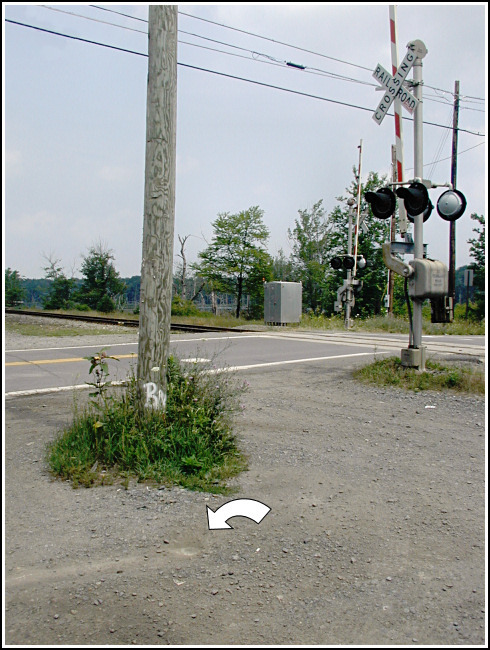 Looking NE at Route 507, tracks, and power pole. 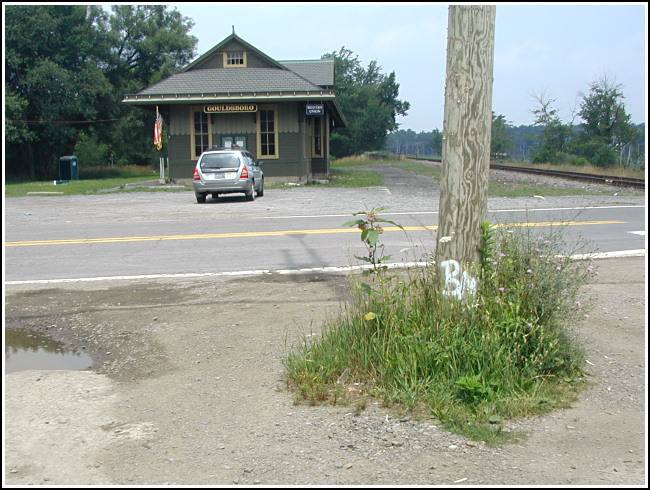 Gouldsboro station has been restored. 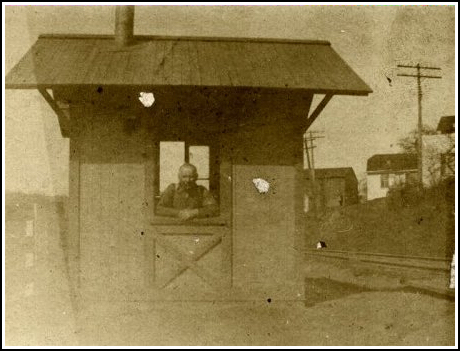 Gouldsboro flagman house (with flagman).